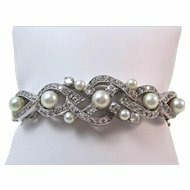 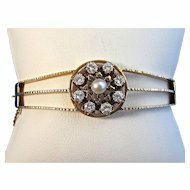 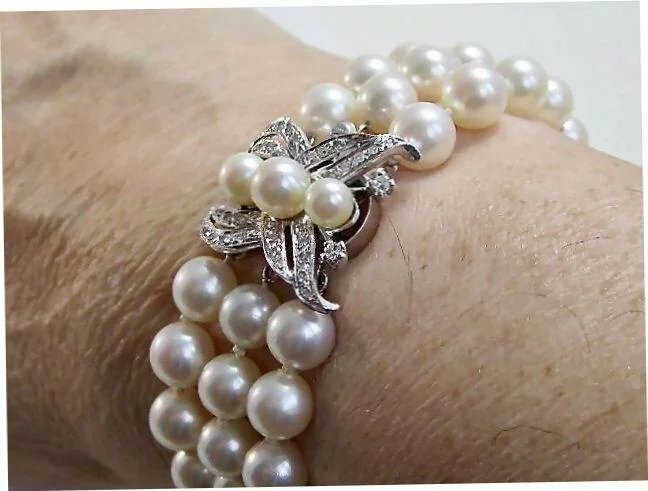 What an exquisite triple strand mid-century cultured pearl & diamond bracelet this is! 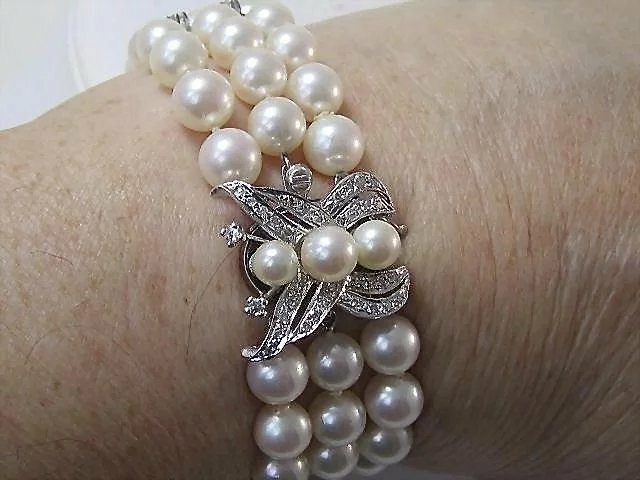 There's something special about pearl bracelets and this one is perfection, with its diamond accents on the 14K white gold spacer bars. 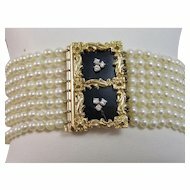 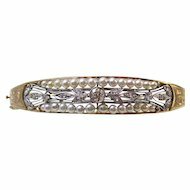 The magnificent butterfly clasp accented with diamonds and more pearls is perfection. 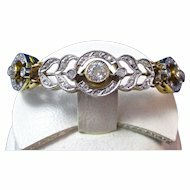 If you are a bride or the mother of a bride this year, look no farther. 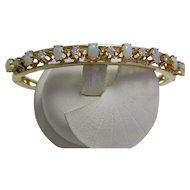 This bracelet fits the bill any time you want to feel special. 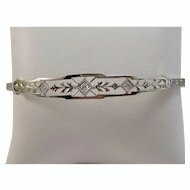 It is truly a treasure! 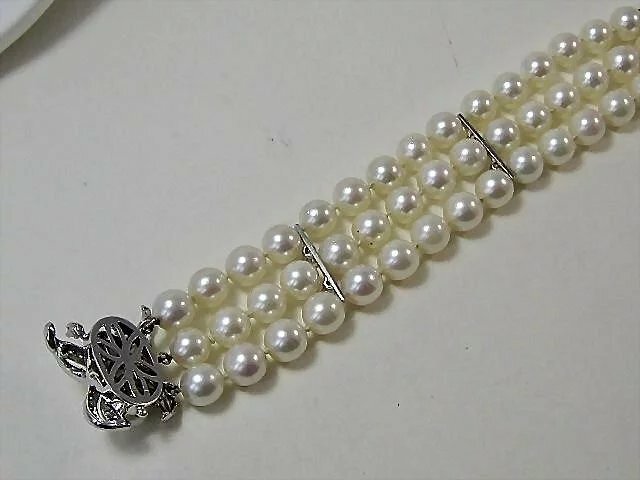 There are sixty cultured pearls measuring 7.50-8.00mm with a very light cream body color with distinct rose overtones and a high luster. 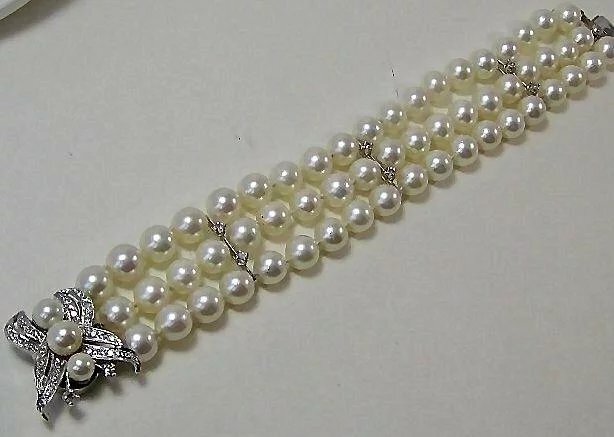 The pearls are very well matched, A quality. 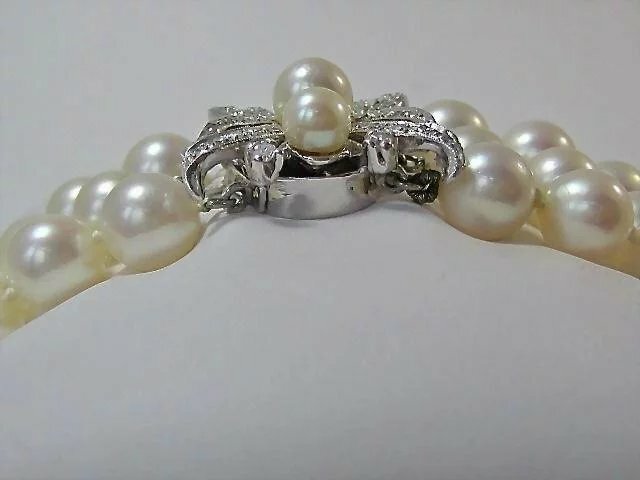 The pearls are knotted in a triple strand accented with three 14K white gold spacer bars, which are set with six single cut diamonds measuring 2.00mm, weighing approximately 18/100 of a carat, with G-H color, VS1-VS2 in clarity. There is a 14K white gold butterfly motif clasp set with thirty-three single cut diamonds graduated 1.30 to 2.00mm, weighing approximately 50/100 of a carat, with near colorless G-H color, exquisite sparkling VS1-VS2 clarity. 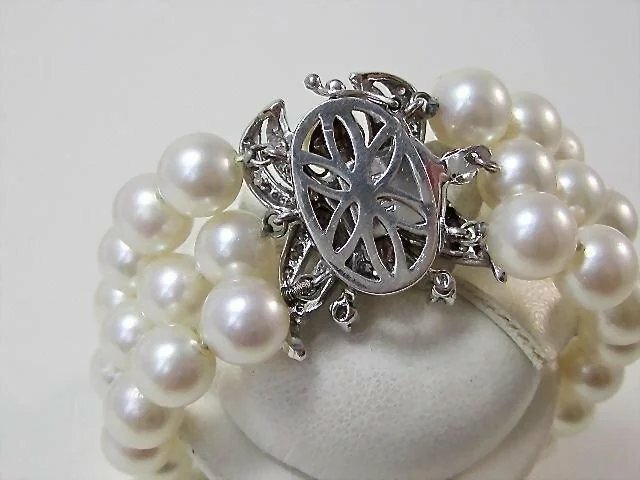 On top of the butterfly clasp are three more cultured pearls measuring 6.00-6.50mm, A quality. 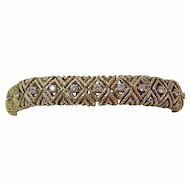 The 14K white gold has 58.3% fineness of pure gold. 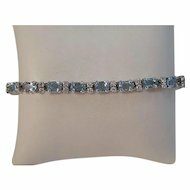 The total diamond weight of 68/100 of a carat. 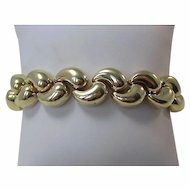 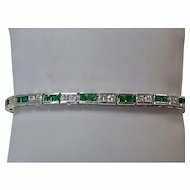 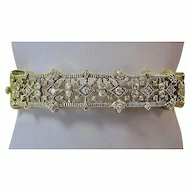 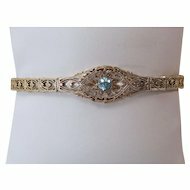 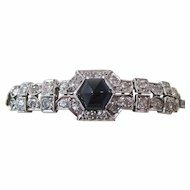 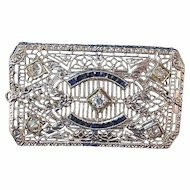 The bracelet measures 7 inches in length and 7/8ths of an inch from top to bottom.